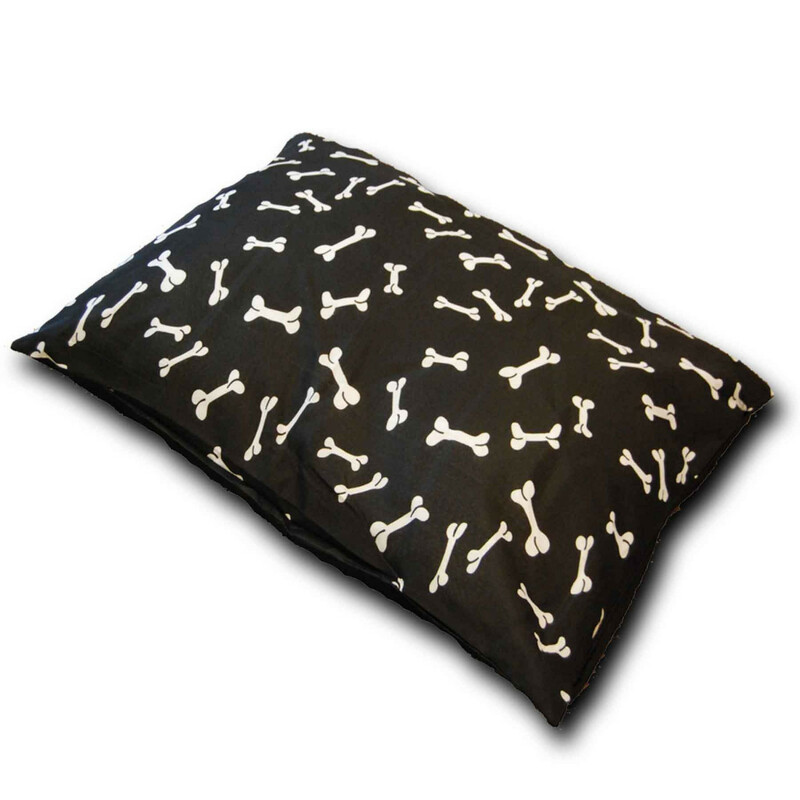 Opulently soft and fluffy, our comfortable Bone-Black Dogbed cover is the perfect gift for your loveable pet. Your pet will surely enjoy the white bone design on black colour texture. Made from lavish blend of polycotton material, this large size dogbed cover is very durable, resilient and handy. This exclusive cover comes with a handy zip, making cover easy to remove and clean. You can easily machine wash this cover so that you pet can enjoy a neat and tidy sleeping experience day after day.